First looked at this house last year. It was built around 1860, so it has 150 years of paint on it. And a lot of the paint was lead. The paint job was ugly. 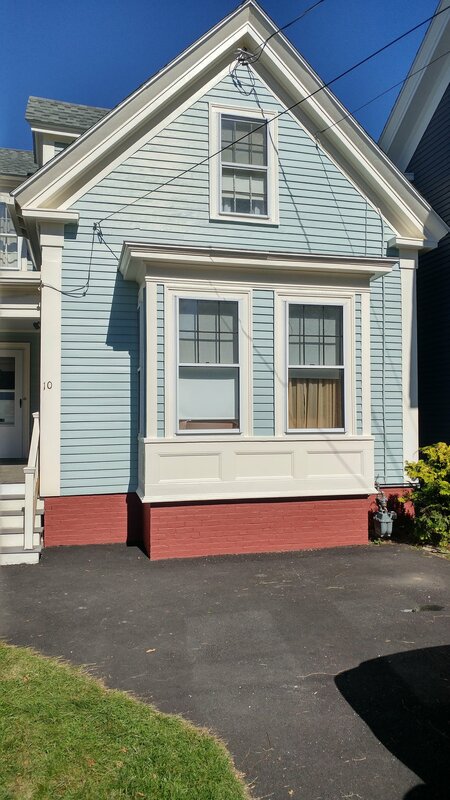 Essentially, at one point some of the paint on the clapboards had been strip while some of the old lead paint had be left in place. Wherever the lead paint remain it was just an eyesore. It was thick, and cracking and in many places just falling off the wood. There are a lot of challenges to removing lead paint. The home owner wanted all of the ugly stuff gone. First, it is a lead job, so we have to follow all of the regulations when dealing with lead. Second, lead paint is as hard as nails. 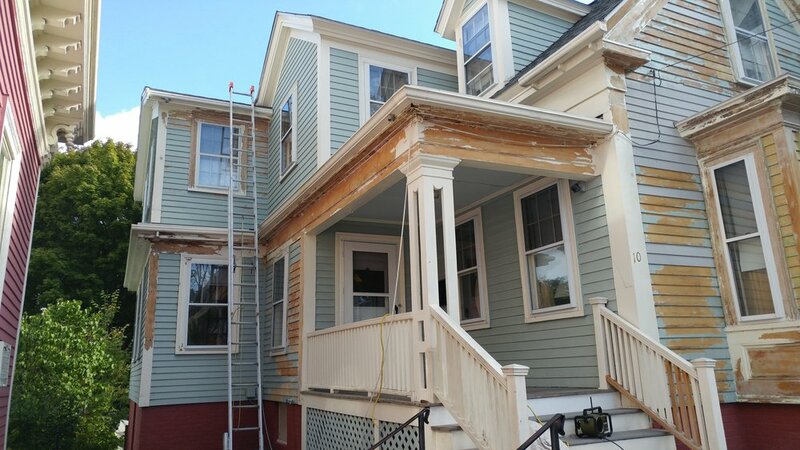 Most of this paint had to be taken off with a paint shaver, or we used heat guns on the trim. 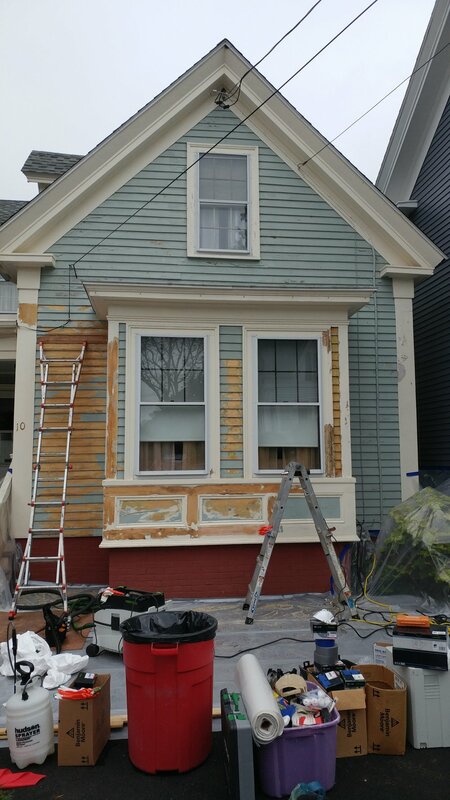 Even our most powerful Festool sanders were no challenge to the lead paint on the house. The sandpaper would gum up in no time at all. Using the heat guns was a slow and meticulous process. And the paint shaver can be really rough on the wood. As a side note, we were not doing an abatement job. Those types of jobs are an entirely different beast. We were just working with lead safely, and we were not removing all of it.